The contest has ended. Thank you to all of our HRH babies and everyone who voted and helped spread the word about HRH. View the results here! Voting will be open from 8/1/18 - 8/15/18. 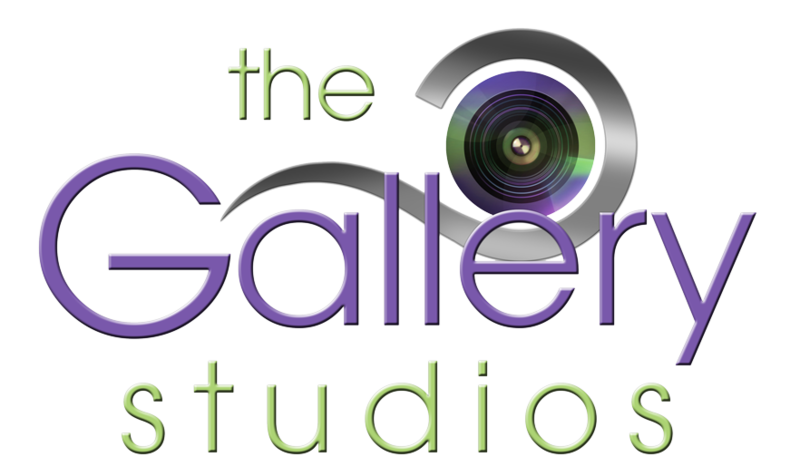 The 13 submissions with the most votes will be professionally photographed by The Gallery Studios and featured in the HRH calendar designed by Sensory 5, which is distributed to HRH patients and available for purchase for $20 in the HRH Store. For more information, see the HRH Calendar Baby Contest Rules. On Friday, January 26th 2018, I went to work while 7 months pregnant. By that afternoon I was in preterm labor with our twins, Eve and Elijah. They were born that night at 28 weeks. They were immediately admitted at Johns Hopkins All Children’s Hospital and spent 56 and 60 days in the NICU. It was a long road but we are truly blessed! Our twins are now thriving and doing great! Adalyn is our first and only child and our rainbow baby. Our near-perfect pregnancy changed on a whim when I was placed on home bed rest at 30 weeks and hospital bed rest at 32 weeks due to severe preeclampsia. Our health status became critical and she was born via emergency c-section at 34 weeks. 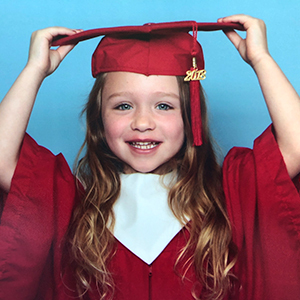 Addie has brought immeasurable joy to our lives and continues to touch and inspire everyone whom she has the pleasure of meeting. 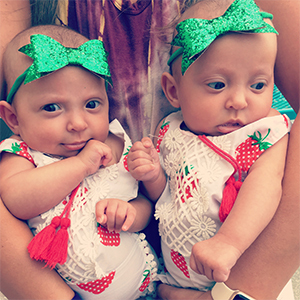 Maisyn and Madisyn were born at 32 weeks due to a very high-risk mono-mono pregnancy. I was on bed rest for 32 days prior to the twins being born and was on home bed rest for two months prior to that. These girls fought very hard in the NICU for 32 and 45 days. They are true miracles! We had a difficult pregnancy from the start. We had weekly cervix checks because of its constant shrinking and after several hospital visits, my water broke at 27 weeks. I stayed on hospital bed rest while on magnesium and antibiotics in case of infections. April 10th, at 28 weeks, there was no more movement and barely a heart rate. That night, Severide was born by emergency cesarean and spent 52 days in the NICU. Magnolia was born 7 weeks early after I had gone into labor while sitting in traffic. 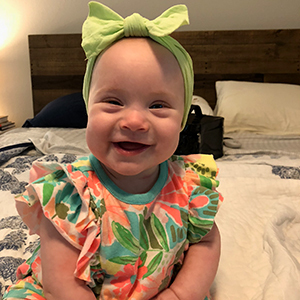 In four weeks she learned to breathe on her own, was weaned off her feeding tube, made some “sick gains” in the weight department, and was treated for jaundice. 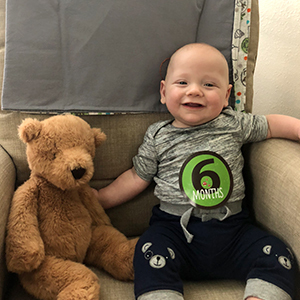 Bringing a premature baby into the world is simultaneously precious and heartbreaking, but with everyday miracles worked by St. Joseph’s Women’s Hospital and the kindness of High Risk Hope, what a difference a year can make. At around 8 weeks I started getting extremely sick and found out at the hospital and that my appendix had ruptured. That is when we found out we were pregnant! At 34 weeks I developed severe preeclampsia and Leah was born via emergency caesarean. Leah spent two weeks in the NICU and was such a fighter. I was diagnosed with preeclampsia at 32 weeks. Doctors were able to control my symptoms for the short term, and I was admitted to the hospital on bed rest. Over the next 5 days, my kidneys followed by my liver began to shut down. JP was born at 33 weeks and weighed just over 4lbs. It was the longest 22 days of our lives. 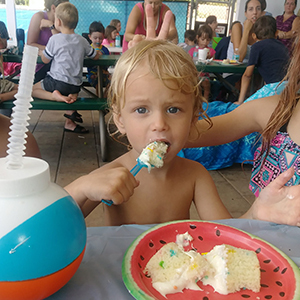 My water broke at 25 weeks pregnant and Oliver was born two weeks later. He had a traumatic birth, suffered brain bleeds and was recently diagnosed with cerebral palsy. He is a very happy little boy and loves to laugh! He is learning how to walk using a gait trainer. We hope to see him one day learn how to walk on his own! For three years we struggled with trying to have a baby. After our first round of IVF, we were pregnant! At 26 weeks I was admitted to the hospital with preeclampsia and placed on bed rest for the remainder of my pregnancy. At 28 weeks and three days, I learned I had reversed diastolic flow on the umbilical cord and they had to do an emergency C-section. On August 27, 2017, Madison was born at 1lb 15oz and our hearts were full. We spent 53 long days in the NICU at St. Joseph’s Women’s Hospital and now have a very happy, silly, and loving baby girl. When I was 3 months pregnant with triplets, I had a scary bleed coming from one of the baby boy’s sacks. He was not expected to survive. At 32 weeks our baby girl was ready to come out and by getting here early she saved her little brother’s life. When he was born the doctors realized that his umbilical cord had a true knot which is why he wasn’t growing as well as his siblings. They said he wouldn’t have survived another week in utero. He was born 3.3 pounds, his other brother 3.10 and his sister 3.15. They came out at 32 weeks and spent about a month in the hospital. I had two miscarriages due to cervical issues. Honey is my rainbow baby. After my miscarriages, the doctor said it would be hard for me to carry a baby or conceive. After we were married we became pregnant with Honey. She was born at 24 weeks and has been such a blessing and miracle all at once. I have had both of my children at St. Joseph’s Women’s Hospital after being a NICU nurse there for years. I was placed on hospital bed rest with both of my boys. Brody was born at 34 weeks. My experience was great and my bedrest and NICU bag made it that much better. Favorite book or toy: Her brother’s trucks! I was 31 weeks when I started to have contractions. I was given steroids and put on bed rest. 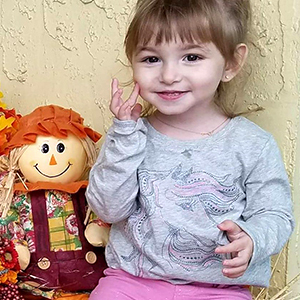 I delivered my baby girl at 35 weeks to the day, under general anesthesia at Tampa General due to placenta accreta – which meant I had to have a hysterectomy at the same time. She stayed in the NICU for 2 solid weeks. Needless to say, we have a fighter! 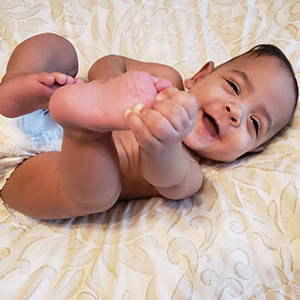 She was born at 35 weeks due to placenta accreta, in the NICU for 2 weeks and lived through a hurricane, all in her first month! At only 26 weeks along, I thought this could never happen to us. My pregnancy had been smooth sailing. I was rushed to the hospital, where I was told the monitor only showed irritability, but I knew something was wrong, I was 4 cm dilated. The next afternoon, my babes made their appearance. Only 2 days before our due date, after 87 days we were going home, with two healthy babies. Miracles show themselves in our worst times. 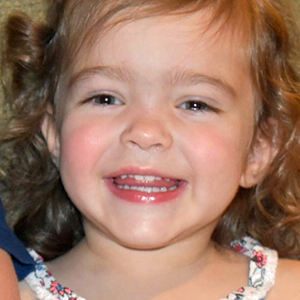 Brigit was born at 28 weeks after a week-long stay on hospital bed rest. This sassy girl broke my water at 27 weeks and then turned BREECH! After confirming my water was broken at Lakeland Regional Hospital, I was quickly transported to Tampa General Hospital. 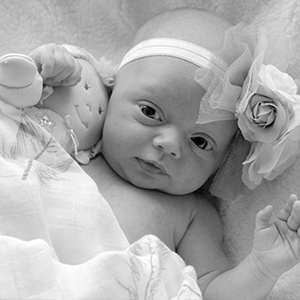 Brigit was born at 1 lb 14 oz and stayed in the NICU for 10.5 weeks. She came home the day before Thanksgiving, one week shy of her actual due date (best turkey ever). 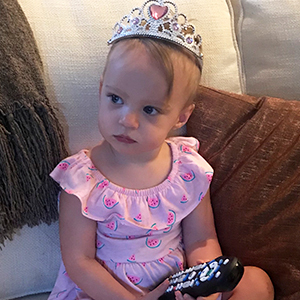 Now she’s a bright and active toddler, who gets into all sorts of trouble! I was kicked by a patient while working as a nursing assistant. I spent a week on hospital bed rest and during the routine ultrasound on the morning I was released they discovered an issue with my placenta. I was kept on bed rest and Kain was born at 31 weeks. My water broke the morning of New Year’s Day, 3 months prior to my due date. The doctors were hoping I would stay pregnant on bedrest for at least 5 weeks but we made it only 12 days. 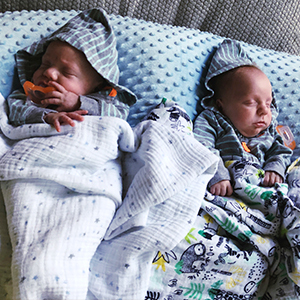 The boys were born via C-section at exactly 29 gestational weeks and spent 57 days in the NICU. 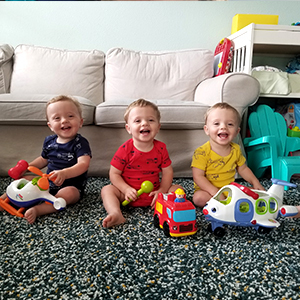 Now 17 months old they are vibrant little boys who make us smile every day. 21 weeks pregnant I learned that my cervix was thinning out. I had an emergency cerclage put in and received weekly hormone injections. I stayed on bed rest until my water broke on August 13, 2016 and our rainbow, Eleanor Pearl Font, arrived the next day at 35 weeks. 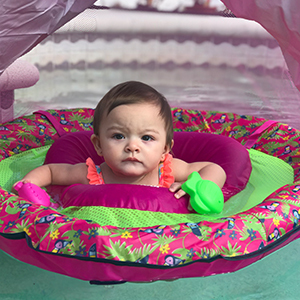 She was in and out of the NICU at the start of her life due to low blood sugar, loss of 16% of her birth weight and jaundice. We are so thankful our Ellie is here with us today and is healthy, loving and full of energy! I was placed on hospital bed rest at 21 weeks with ruptured membranes. I spent 8 weeks on hospital bed rest and the twins were born 11 weeks early. 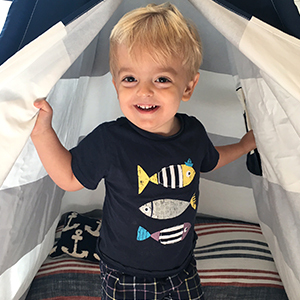 Jack spent 8 weeks in the NICU due to major issues that required multiple surgeries. At 32 weeks and 3 days, I had an emergency c-section due to severe preeclampsia and Hank was born. 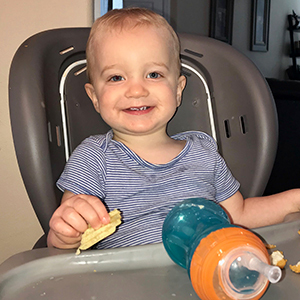 Feeding challenges kept him in the NICU for 54 days before coming home on his due date. This handsome boy is strong, thriving, and surprises us every day. 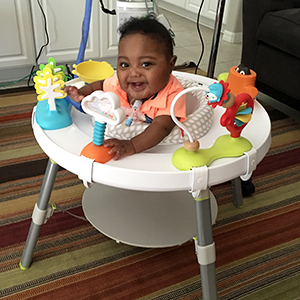 At 7 months, he is hitting all of his milestones. Sadie was born on April 11th, 2018 (her daddy’s 40th birthday) at 34 weeks and six days. We were induced due to gestational hypertension and intrauterine growth restriction (IUGR). 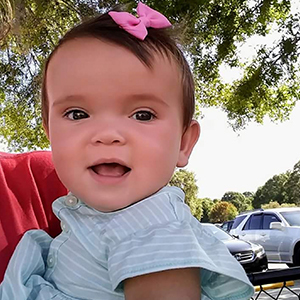 Sadie spent 19 days in the NICU at Tampa General Hospital many of them under the Bilirubin Lights. 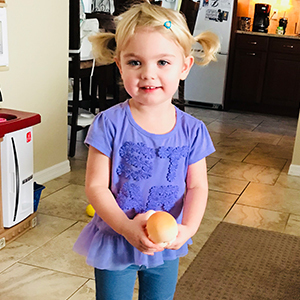 Sadie was released on April 30th, 2018 weighing 4 lbs 6 ounces. 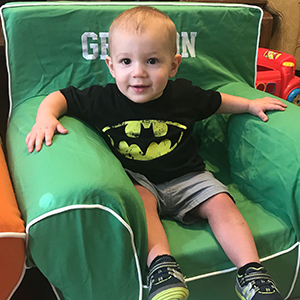 Grayson was born at 34 weeks via emergency c-section. We were in the NICU at St Joseph’s Women’s Hospital for 3 weeks as he had under developed lungs. He is now a happy, healthy, inquisitive one year old. He loves his big brother and is always on the go! Charlotte was born 3 weeks early and was seemingly ok until we had a visit from our neonatologist. He quickly noticed her color was not good and discovered her oxygen was far too low. He called the NICU transport team and they took her to the NICU where she spent six nights while her lungs finished developing. I was admitted on hospital bed rest after my 20th and 24th-week check-ups. I had been identified as a high-risk pregnancy and forewarned of a potential weak cervix. At my 21st week check I was in surgery for an emergency cerclage; by week 24 my cervix started to shorten again. At 25 weeks I was having contractions and ready to deliver my firstborn. At 4:49 pm on October 9th my son, Isaac Noah Carlin, was born at 2lbs 1oz and 13.5”. The biggest test of faith happened for the next 104 days in the NICU and beyond. Isaac is a living testimony of faith and miracles. I gave birth to my hero! 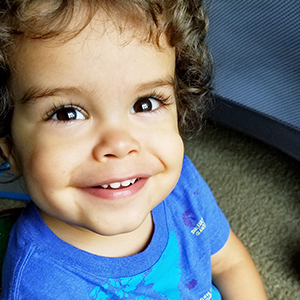 I was diagnosed with intrauterine growth restriction (IUGR) during my pregnancy with Jameson. I was admitted at 33 weeks gestation after I failed a stress test and then released the next day after being monitored all night. My doctor scheduled me for a c-section at 37 weeks because Jameson was not growing while in utero. He was 4 to 5 weeks behind. I delivered him at 37 weeks weighing 4 lbs 13 oz. He spent a few days in the NICU due to breathing issues and jaundice. He just turned 3. Is still small at 24 pounds but mighty. I was diagnosed with preeclampsia and the head high-risk doctor and my OBGYN decided it would be best for Autumn to come early. Autumn Mae was born 3 lbs 10.9 oz, 16 inches long. She spent 22 long days in the NICU. Since then this little monkey of ours has kept us on our toes. She can make anyone’s heart melt with her smile! 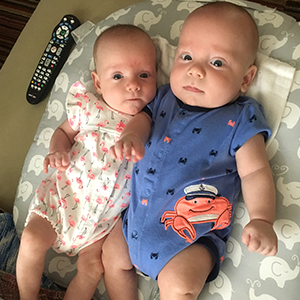 At 16 weeks gestation Audrey and Riley were diagnosed with a rare disorder, Twin to Twin Transfusion Syndrome. 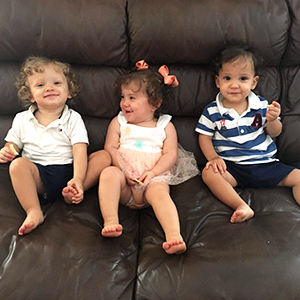 At 18 weeks, they underwent a surgery in Los Angelos, CA that would save their lives. 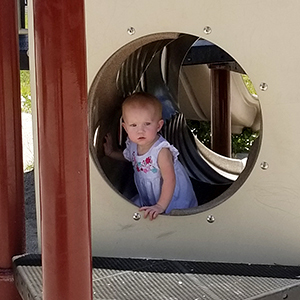 I went into preterm labor at 27 weeks and was placed on hospital bed rest at St. Joseph’s Women’s Hospital until Audrey and Riley were born via emergency c-section at 33 weeks. The girls spent 5 weeks in the NICU at St. Joseph’s Women’s Hospital. Today the girls are exceptionally strong and perfectly healthy. I went in to labor at 25 weeks while I was on shift in the TGH Emergency Department. The first 24 hours of bed rest were scary as we did not know what to do or what to expect. Then things went sideways again and Caroline decided she was going to be born early, no matter what we did. Those first 24 hours in the NICU were absolutely terrifying and we did not know how we would make it through. Our nurse then brought us another HRH bag for the NICU. In it was Goodnight Moon. We read our daughter that book every single night she was in the NICU and continued that tradition when we got home. Now, she “reads” Goodnight Moon to us! 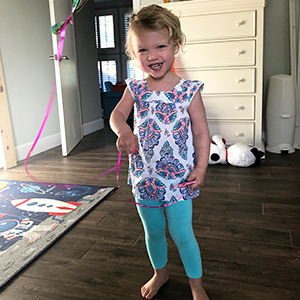 She is a happy, healthy, feisty 3-year-old that just loves life. I found out I was pregnant with Claire after going through 3 years of infertility and a year and a half of failed fertility treatments. 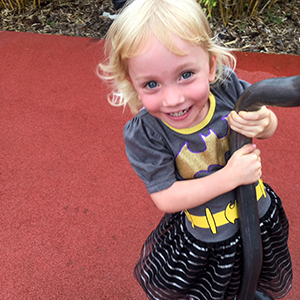 Claire was born at 34 weeks after a high risk pregnancy. 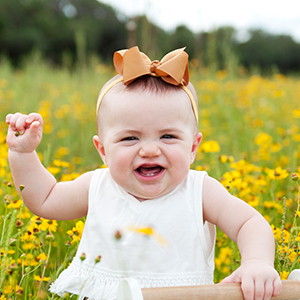 Claire was 4 pounds 10 ounces when she was born and now weighs 17 pounds at 7 months. 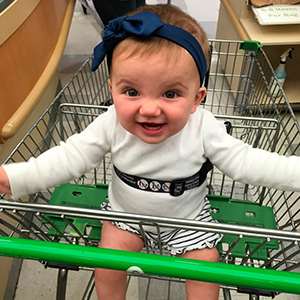 Claire spent 2 weeks in the NICU learning how to eat and gaining weight. Claire’s full name is Claire Victoria which means bright victory as she is a great blessing to our family. After three rounds of in vitro fertilization (IVF), our only viable embryo was our baby, Reese! I was hospitalized at 30 weeks with placenta previa. Reese was born healthy at 37 weeks. Praise God! 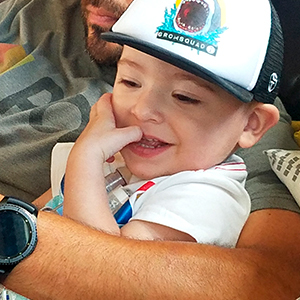 After a week’s stay in the hospital that included daily ultrasounds, constant fetal monitoring, and a special diet, Emerson Neal Pounds was ultimately born at 26 weeks on August 8, 2017. Weighing 1lbs 1.5oz, Emerson came into the world via emergency c-section and seemed to have a decent set of lungs for a micro preemie. 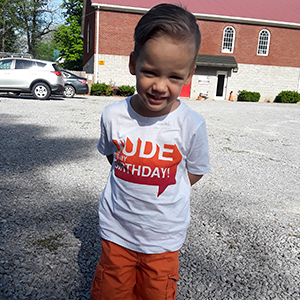 Emerson spent 4 months in the NICU and was then transferred to the PICU in St. Joseph’s Children’s Hospital where he stayed for another 2 months. 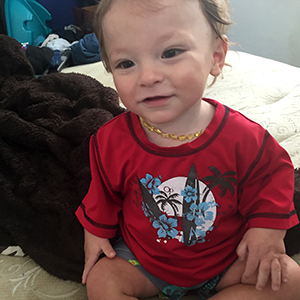 Due to his bronchopulmonary dysplasia (BPD), he ended up needing a tracheostomy and ventilator. Bringing him home on Valentine’s Day was the best gift. We have now adjusted to life at home with all the machines and medical supplies. We are so grateful for the High Risk Hope organization and all of the encouragement and well wishes we received throughout this process. I had multiple hematomas and was on the cusp of twin-to-twin transfusion (TTTS) which caused me to be placed on bed rest at the beginning of my pregnancy. I started to have contractions at 22 weeks. I was admitted at 24 weeks and 3 days for preterm labor. I spent 4 days in labor and delivery and the rest of my two week stay on the high risk floor. At 26 weeks I went into labor that they were not able to stop. My boys spent 89 days in the NICU. Ryker weighed 2 lbs. 4 oz. and Killian weighed 1 lb. 14 oz. They now weigh 8 lbs. 2 oz. and 6 lbs. 14 oz. At 20 weeks pregnant, I was placed on bedrest at St. Joseph’s Women’s Hospital due to ruptured membranes and a slightly dilated cervix. At 25 weeks I had an emergency c-section to deliver my beautiful baby boy. He was born 1 pound 5 ounces and suffered severe respiratory issues. He was in the NICU for five and a half months and came home with a trach and ventilator support. He is doing extremely well now thanks to the fabulous staff at St. Joseph’s Women’s Hospital. After having a full term baby with my first pregnancy, Margot’s arrival at 27 weeks was totally out of the blue. I had no high-risk symptoms and was having a perfectly normal pregnancy. After feeling like I had been having contractions, we checked into the hospital around 9 pm, and by 2:40 am Margot was born. She was in the NICU for 47 days. I was hospitalized at 25 weeks with twins. 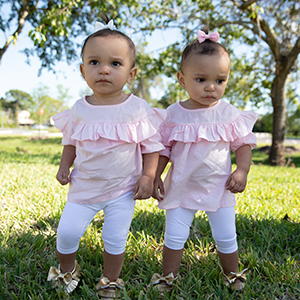 One twin had a two vessel cord along with intrauterine growth restriction (IUGR) and the other twin had a very rare medical condition. It was critical that they stay in utero to continue to grow for a better chance of survival. The twins came into the world at 29 weeks, weighing in at 1lb 8 oz and 2 lbs 8oz. 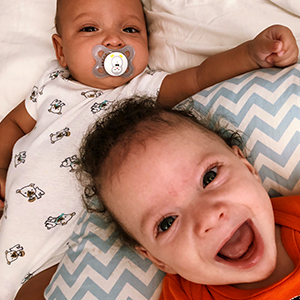 They underwent several surgeries and were able to come home together after 71 days in the NICU. Jaxon James Hurley was born at 30 weeks after he received a blood transfusion while he was in mommy’s belly. He was born 2 pounds and 13 oz. He opened his eyes the same day he was born, he is strong and a fighter. 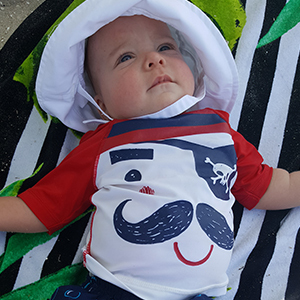 After 57 days in the NICU of Tampa General Hospital, Jaxon was able to go home. Today he is going to be 5 months, weighs 12 pounds, and has started laughing. He is getting stronger every day. I was diagnosed with vasa previa at 28 weeks and placed on bed rest at 30 weeks. I had a planned c-section at 34 weeks and Isabella spent a month in the NICU. We were very lucky to have caught the vasa previa when we did, because if not and she had gone full term she would have been stillborn. Tobias was born at St Joseph’s Women’s Hospital after three weeks hospital bed rest. He spent six weeks in the NICU. 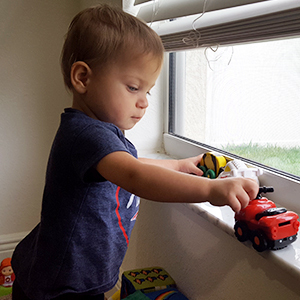 He is now 3 years old, has overcome his growth decline, and loves planes, monster trucks and playing with his siblings. On Halloween 2016, I woke up not feeling well and went to the doctor. I learned I had preeclampsia and ended up delivering within the day. 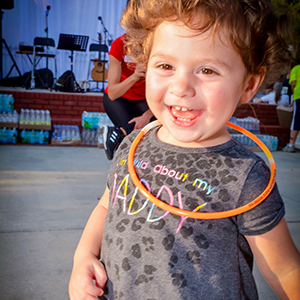 Sophia was born at 30 weeks and stayed in the NICU for 31 days. 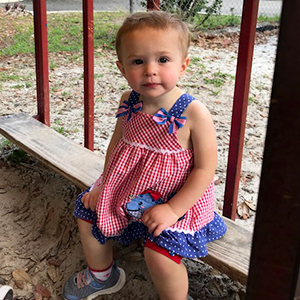 She is now a feisty 20-month old that loves to sing, dance and talk a mile a minute. After a relatively uneventful twin pregnancy, my daughter decided that it was time to make her appearance and sent me into labor at 33 weeks. The nurses tried to slow the labor down but there was no stopping Miss Taylor. 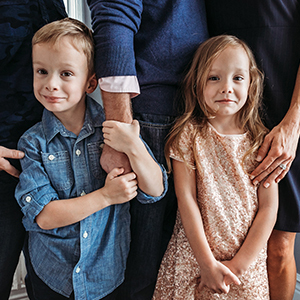 In the operating room, they had two teams of NICU doctors and nurses ready for the twins. It was good knowing TGH and the NICU was ready for them no matter what happened. Today they are crazy, happy, and healthy 4-year-olds! 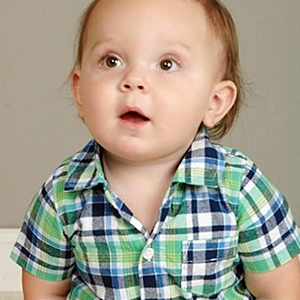 Our sweet Grady was born 10 weeks early and spent 7 weeks in the NICU. From day one he was a fighter! 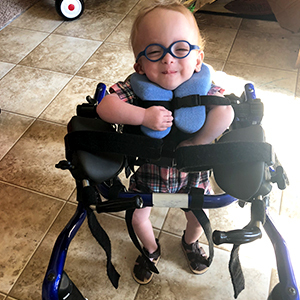 He has overcome so many hurdles and continues to amaze us each day. He is truly a miracle and brings so much joy to the lives of everyone he knows! For most people, the day their child is born is the most exciting day of their lives. For me, it was the scariest. On August 9, 2016, I had a 90% placental abruption, almost three months before my due date. I was in serious risk of losing my life and Ava’s. I will forever be indebted to Dr. Dill and the amazing staff at St. Joseph’s Women’s Hospital. I never missed one day of Ava’s 110 days stay in the NICU and not sure how I would have gotten through such a difficult time without the amazing NICU nurse and staff. Ava turns two in 46 days and I can’t imagine a world without her beautiful smiling face. During routine blood work at 14 weeks gestation, we found out that mommy and Matilda have incompatible Kell protein. Matilda was born 2 months early and weighed 4 pounds and 8 ounces. 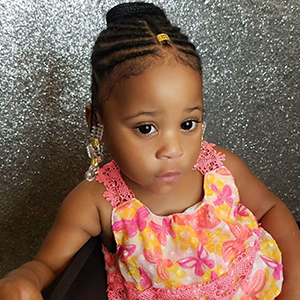 She stayed in the NICU for one month immediately following birth. The HRH and NICU team at Tampa General Hospital provided our entire family with support and care throughout our stay. 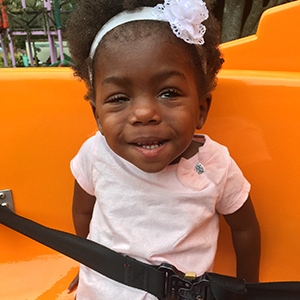 Our daughter had severe intrauterine growth restriction (IUGR) was tracking less than one-third percentile in weight. She was born via emergency c-section. They were concerned that her lungs had not developed but she came out crying and waving a tiny fist in the air. Our little angel weighed 1 pound 3 ounces. 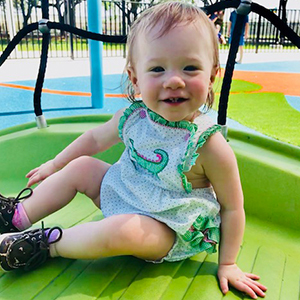 She spent a little more than three months in the NICU. While there she underwent several blood transfusions and a surgery. It wasn’t easy, but we were able to make it through thanks to the great staff at St Joseph’s Women’s Hospital and lots of prayers and support of family and friends. I went on hospital bed rest at St. Joseph’s Women’s Hospital at 25 weeks due to a shortened cervix. On February 20th, 2016 I gave birth to my twins at 28 weeks. Adalyn weighed 2 lbs 11 oz and Beren weighed 2 lbs 9 oz. Five days later we lost our son Beren to an undetectable infection around his heart. 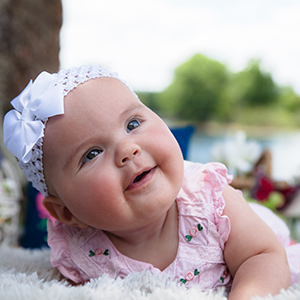 Adalyn fought for 95 days in the NICU before coming home. She is our miracle and constant reminder of how precious life is. 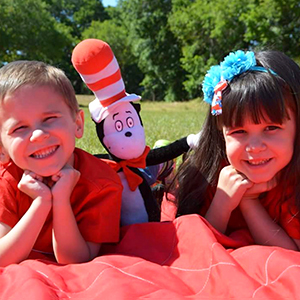 Addy loves to read books, swim and play with her friends. We miss Beren dearly and know he is watching over his little sister.